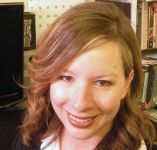 Raised in Huntsville, Alabama, Holly Roose moved to Oregon and received her Bachelor’s degree in Black Studies and English in 2007 from Portland State University. In 2009, she received her Master’s degree in African and African American Studies from Columbia University. While in New York, she worked as a research assistant for Stanley Nelson and contributed to the documentary film, The Freedom Riders, a Firelight Media Production. Currently, she works as Project Assistant for the McNair Scholars Program at San Diego State University, and will begin her Ph.D. program in History at UC Santa Barbara in the fall of 2011. Her research interests focus primarily in black social movements of the 20th century.